What a way to start a blog post, eh? “What does poison ivy look like?” has been heard a few times around here lately. We are clearing out an area of old trees, shrubs and underbrush and my lack of familiarity with some of these plants is prompting this question. Leaves of three, let them be… Leaves of five, let them thrive. This little rhyme is keeping me in check these days with my poison ivy “sightings.” Look for plants with leaves in groups of three as an initial indicator. Not to get too technical, but I have to put in here that technically these are leaflets, comprising a single leaf. As a vine, look for hairy roots that are holding on tightly to a tree or wall. 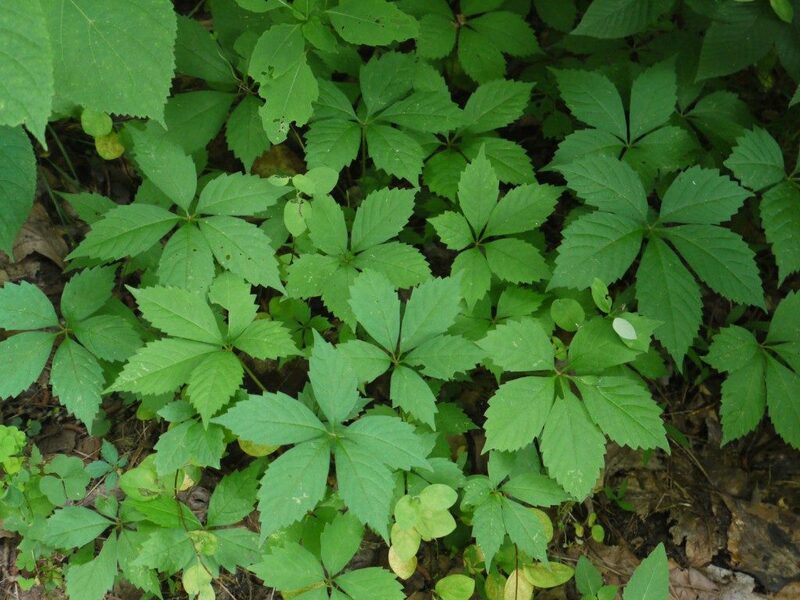 This plant, Virginia Creeper, is the plant most often confused with poison ivy. It can be a spreading plant on the ground or a climbing vine, but its five count of leaflets will help to rule it out as the cause of unwelcome itching. 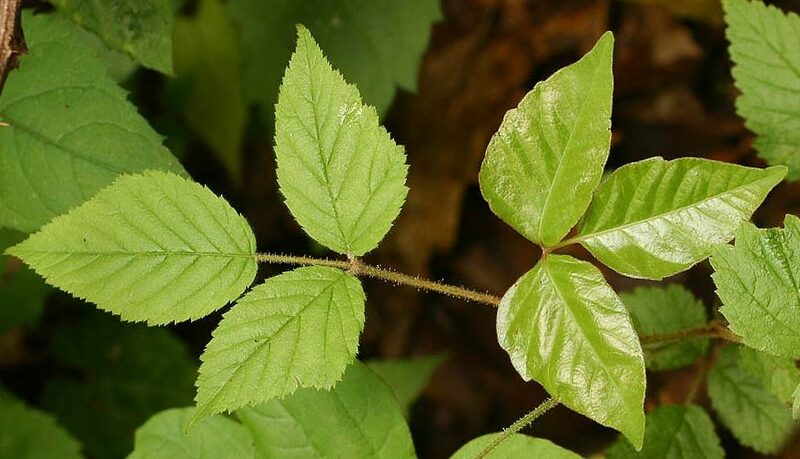 The folks at GreenPal have put together this handy infographic for identifying poison ivy. It helps me to see these poisonous plants next to each other, and, even though they gross me out, the photos of how your skin looks after an encounter with poison ivy. If nothing else, the next time you hear “what does poison ivy look like?” you will be all set to help sort out the confusion.